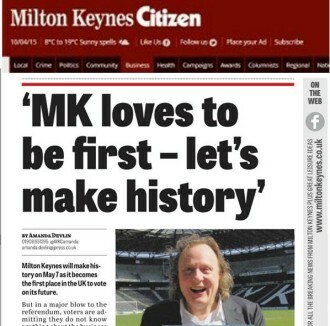 A Milton Keynes referendum is on course to make history, writes MK News 13 April 2015. On Monday local residents gathered at The Point – 'once the beacon of the future' - to mark the start of a 'Vote Yes' campaign in favour of an ambitious new plan for the future of Central Milton Keynes. Join us for the Yes Campaign's official kick-off on Monday, 13 April. 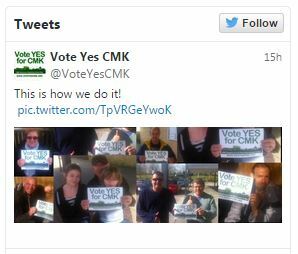 Milton Keynes is holding the country's largest referendum ever on a neighbourhood plan - AND it's the country's first 'business' referendum to boot. The Yes Campaign is now live on Facebook. Like Us! 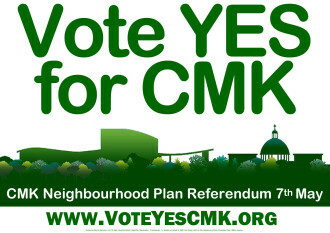 And Spread the word on Facebook... Vote Yes for CMK in the referendum on 7th May! 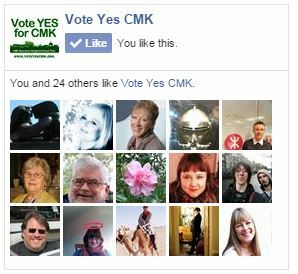 The campaign is now on twitter @VoteYesCMK and #VoteYesCMK. How many re-tweets will it take to reach 175,000 residents and 7,000 businesses who will be voting in the country's largest neighbourhood plan? 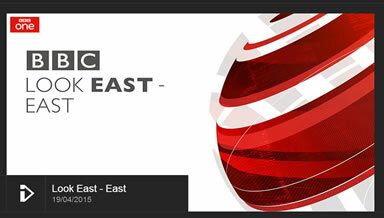 Let's get tweeting!